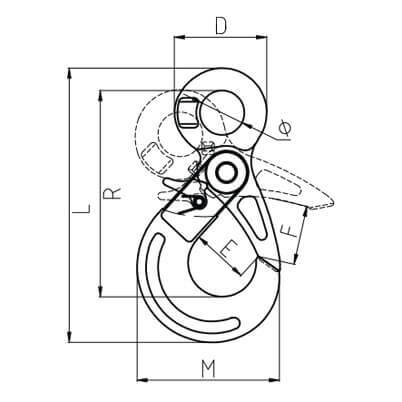 All single leg chain slings with eye hooks are tested and certified to meet performance requirements of EN 818-4, using European manufactured chain. Grade 100 offers +25% increase in working load limit over the same size grade 80. 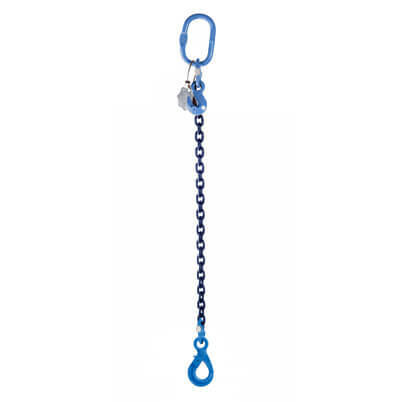 All 1 leg lifting chain slings are made to order and therefore we do not accept returns on these items. 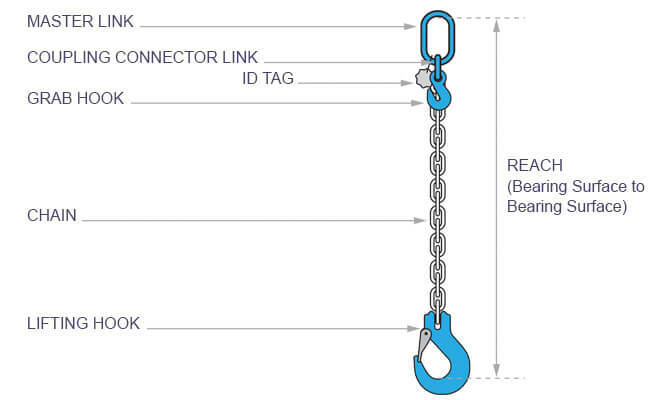 1 leg chain slings with eye self locking hook are supplied with a 2 metre reach (bearing surface to bearing surface), you can simply add extra chain by metre reach for required length. 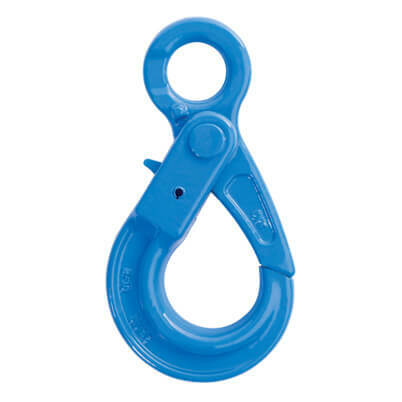 Grab hook included for easy length adjustment (Never tie knots in lifting chain). 200° Temper, Grade 100 Chain is suitable for use in a temperature range of -40°C up to 200°C without reduction in working load limit.